John Embry, Senior Strategist at Sprott Asset Management returns with key insights into the startling 2016 PMs market rally. The recent pullback represents a discounted buying opportunity within a new long-term bull market. Once gold breaks out of the consolidation in terms of the US dollar, the de facto reserve currency, the bull market will continue. China's official 3,000 ton gold reserve figure at the PBoC may be vastly understated; the true stockpile could represent the largest worldwide. A recent article by Koos Jansen shows that China's top banks likely hold massive gold reserves, the traditional asset of choice. The discussion includes "Bond King", Bill Gross, who may soon earn a new royal title of "Gold King." The financially savvy professional seems to be losing his appetite for bonds in favor of gold. The duo suggest that the billions of dollars / currencies held in paper form should be shifted into safer alternatives, such as bullion, and mining shares. The world's most useful precious metal, silver may eventually outshine its rivals, sporting one of the most enviable investment valuations. Once gold ascends to it's rightful place as king of currencies, the gold / silver ratio will return to 10:1, sending silver into the triple digits. The Irish Times reported that the Bank of Ireland is now charging for the right to deposit funds, making home safes much more desirable. Sales in home safes are soaring across much of Europe, ground zero of the ECB negative saving rates. 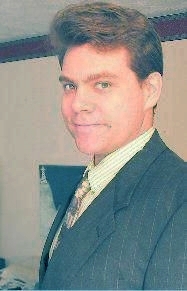 Senior Research Fellow, Dr. Paul Craig Roberts rejoins the show. The bullion banks have "An infinite stockpile of naked gold shorts, driving down the price." The shorting machination began in 2011, culminating in the 2016 gold rally. "If the system gets up and running, big banks will no longer require dollar reserves." The end game is obvious; inevitably market forces must establish equilibrium, sending the PMs skyward. Eventually, higher rates will cause an economic depression of epic scale. The recent US jobs number may be skewed by false assumptions, i.e., Seasonal adjustments making the recent 277,000 job number suspicious. The participation rate, or number of folks working, continues to decline on an annual basis, suggesting bogus BLS numbers. Most new part-time, service jobs offer few perquisites as the deterioration in the labor force continues in earnest, resembling"...a 3rd world economy." The disturbing social theme is emblematic of the difficulties facing young couples attempting to establish and maintain households. A final leg holding up the entire domestic edifice is the artificially low rate environment. Near zero rates boosts home prices, making refinancing simple vis���vis debt securitization. The strategy will work until either debt availability lessons or the housing bubble bursts. When inflation is properly included, the real GDP has been essentially flat to negative since 2000, representing the deepest depression in national history. Without manufacturing jobs, the tax base collapses, and inevitably, the currency / economy. No market is free due to manipulation and easy debt. For instance, stock P/E's are high on a historical basis, primarily due to Fed based excess liquidity. 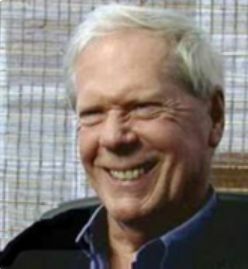 Paul Craig Roberts is the John M. Olin Fellow at the Institute for Political Economy, Senior Research Fellow at the Hoover Institution, Stanford University, and Research Fellow at the Independent Institute. A former editor and columnist for The Wall Street Journal and columnist for Business Week and the Scripps Howard News Service, he is a nationally syndicated columnist for Creators Syndicate in Los Angeles and a columnist for Investor's Business Daily. In 1992 he received the Warren Brookes Award for Excellence in Journalism. In 1993 the Forbes Media Guide ranked him as one of the top seven journalists. Visit the web page: click here.